Browse the complete range here and buy online from Collier Turf Care securely and with confidence. Geka Female Coupling in various sizes. 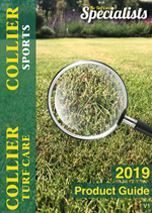 Browse the complete range here and buy online from Collier Turf Care securely and with confidence. Geka Hose End Coupling in various sizes. Browse the complete range here and buy online from Collier Turf Care securely and with confidence. Geka male Coupling in various sizes. Genuine Jubilee Clips the original and the best worm drive hose clips 13 - 20 mm size. Genuine Jubilee Clips the original and the best worm drive hose clips 30 - 40mm.